Thanks to the developments in modern technology, millennials and Gen Z’s expect to have everything within reach quickly – including entertainment from real-live games. With the average attention span dropping down from 12 seconds to eight seconds in the span of 17 years, according to Microsoft’s study last year, fewer millennials can sit down and watch a scene for a few seconds before whipping out their phones if they feel bored by what they’re watching. This could be why, in the past few years, the number of younger people watching baseball is dwindling. Out of all the major league sports in North America, Major League Baseball (MLB) has the largest demographic for older people, with over half of its TV audience over the age of 55. Whether or not you are a baseball fan, you must admit that there are a lot of pauses where nothing happens. And a game can go on for hours without anyone scoring, compared to other games where everything is time-sensitive and exciting. It’s these bouts of inaction that is driving away younger fans, but it’s not the first time this has happened. Around the 1960’s, baseball took a hit in terms of fan interest. MLB modified the game to make it more challenging, and the result sparked more interest. 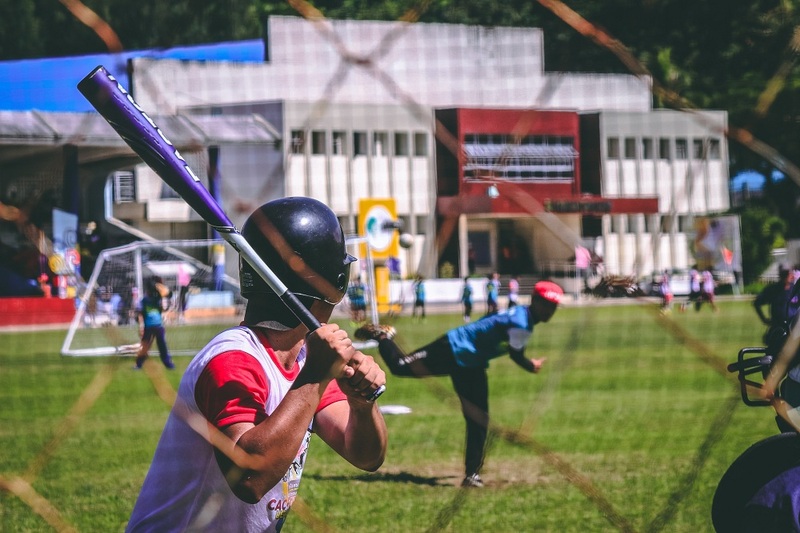 However, if they want to see baseball make a comeback as a popular sport for all ages, they’re going to have to do more than lower a mound or re-do the boundary lines to catch young people’s attention. In the past, baseball players aren’t used to watching clocks. After all, unlike basketball and football games, time has never been a part of baseball’s gameplay. Which is why baseball games have lasted longer since there has been no agency or reason for teams to rush on the field. Like any game, baseball games are subject to team preparations, timeouts, and commercial breaks. However, while some of these pauses only take seconds, they start to build up and pad the total time of the game. And it’s a problem the MLB have tried to solve for years. Major league ballparks have installed timers for commercial breaks between innings. They require players to resume the game once the clock hits zero. It’s just one of the steps the MLB is taking to speed up the pace of the game, after one game reached a record high time of over three hours in 2014, compared to the average two hours in the ‘70s. That’s not to say there haven’t been basketball, football, or soccer games that lasted for over three hours. But do you remember the saying, “time flies when you’re having fun?” Imagine spending 10 minutes watching two rival teams on a basketball court run back and forth, with the contact and the movements, and the close calls. Now, imagine spending 10 minutes watching a baseball game, where most of that time is spent on players stepping out to the field, each taking almost half a minute to prepare. That is what millennials feel. According to Grant Brisbee, a senior baseball writer for SB Nation, there’s not a single reason we can pinpoint as the cause of games slowing down. But a lot of it is due to the players who tend to dally or procrastinate on the field (and for good reason, but more on that later). Pitchers are now taking longer to throw, taking around 23 seconds in between pitches in 2014. This is already a violation of MLB’s rules. 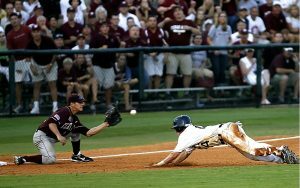 In Rule 8.04, it states that the pitcher has 12 seconds to throw after he receives the ball if the other bases are unoccupied. This was to ensure no time is wasted, but it’s a law that hasn’t been enforced. During the off-season league, Arizona started testing a pitch clock, giving the pitcher a limited amount of time of 20 seconds to throw the ball before the umpire calls the ball.Limiting pitchers to 20 seconds per throw, given that there is an average of 290 pitches per game, could decrease the total game time by almost 15 minutes. There’s also the time consumed by the batters. Batters can be fined for staying outside the batter’s box during their game, but there’s a long list of exceptions to the rule. It’s also a strategic move on some players’ part, allowing them time to slow down the game and think. It’s a strategy that seems to work now, but if you go back and watch older games in the ’60s, you’ll find that batters took less longer and had less fiddling before they got into position yet still performed well. From 1960 to 2014, there has been an increase of pitchers playing in one game, with around four pitchers per team on average in the present. Part of this is due to a “Loogy,” a left-handed pitcher brought out just to face a left-handed batter. Every time a left-handed batter steps into the field, right-handed pitchers must switch with lefties. This levels the playing field, but this switch does not happen in a matter of seconds; it takes minutes, some of which open the gates for more commercial breaks. As a result, it takes longer for people to see the game because of all the player switches. However, it’s an effective gameplay, with teams seeing less than 9 percent of run-ins when they perform switches. Instant replays are meant to playback important parts of the game but doing so has made it time- consuming and preventing the game to continue. In theory, it’s supposed to despite the need for arguments on the field, but in reality, managers use this as an opportunity to stall by arguing with the umpire while the team figures out their next move. It’s why, in 2015, managers were not allowed to leave the dugout. These pause the gameplay and spend more time than necessary for one inning. Because of these prolonged times, younger people’s attention spans cannot survive the 23 seconds between pitches. According to Bloomberg’s Matt Miller, young children do not have the attention span for 9 innings of baseball. There’s too much waiting and sitting around for the audience. While pauses can build up tension, too much waiting in baseball just takes out the fun in watching the game for people who want to see exciting and immediate action. In the ‘60s, major league baseball modified the rules by making it more difficult for players to score. It’s a strategy that worked before and, according to the head of the Sports Business Practice, Frederic J. Frommer, it could work again. This time, however, most of these changes may have little to do with gameplay, but on time sensitivity. There’s also the fact that, unlike basketball, there is a possibility that the game can play out with hours of strikes, fouls, and no scoring. By changing the speed and the mechanics to prevent a game from dragging on, however, wouldn’t it change most of the game altogether? This will not sit well with purists and people who prefer the “old school” style of baseball, but it’s a move that could improve the way younger people enjoy baseball. Baseball is one of the national pastimes beloved by millions across the country. Contrary to what many younger people can say, it can be an exciting game. But if we could tweak it a little and make more parts play out at a much faster pace, the sport could gain more fans and avoid dying out altogether.